The Boardroom seats 12 delegates in a Boardroom style set up. There are glass doors giving direct access to the outside grassed Terrace, ideal for breaks, lunches or mini teambuilding exercises. 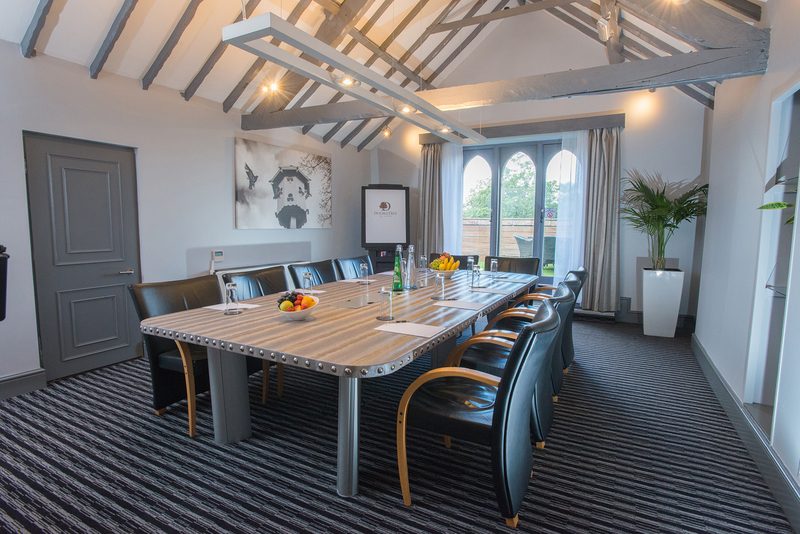 The Boardroom is situated on the 3rd floor in the period part of the hotel and features the original beam work of the 18 century house. It is perfect for seminars, private meetings and business lunches, seating up to 12 guests in a boardroom style set up. Breakout room available when hired in conjunction with The Study. Breaks for The Boardroom are served in the nearby newly refurbished Conference Café. The Boardroom is fully air-conditioned and comes fitted with a Flat screen, wall mounted plasma screen which connects directly to laptops. The room boasts an external balcony with seating and views across North Somerset.